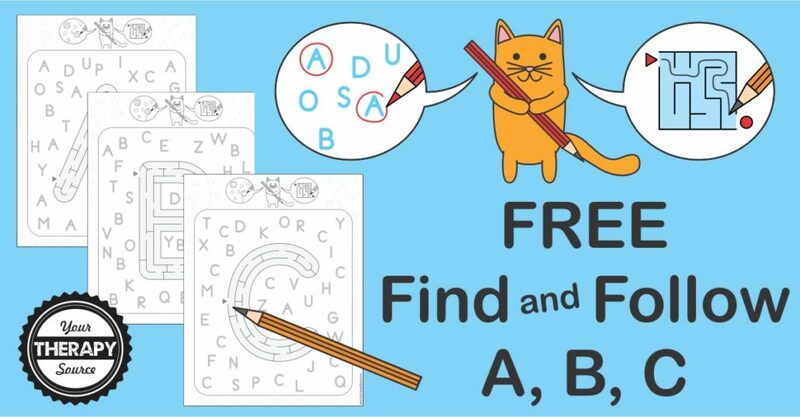 Challenge visual motor, visual scanning and more with these free find and follow ABCs. 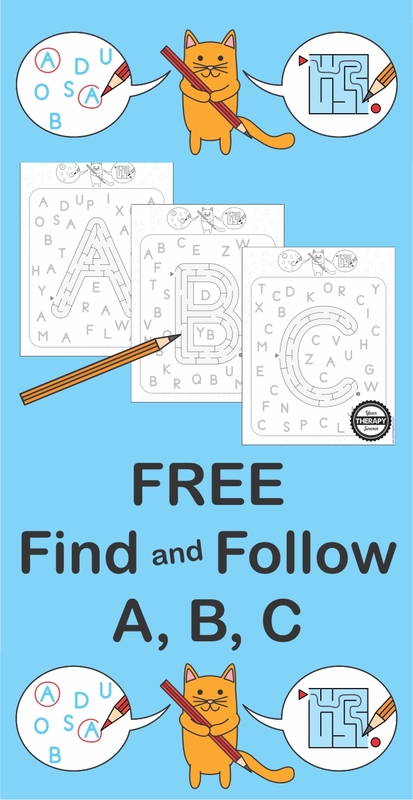 You can download this 3-page freebie from the Find and Follow complete packets that include every uppercase letter and numbers 0 through 9. The great thing about this freebie is it requires no prep – just print and it is ready to go. Bonus – it is all in black and white therefore inexpensive to print. These free find and follows ABCs are perfect for handwriting warm ups, letter review, and visual scanning. 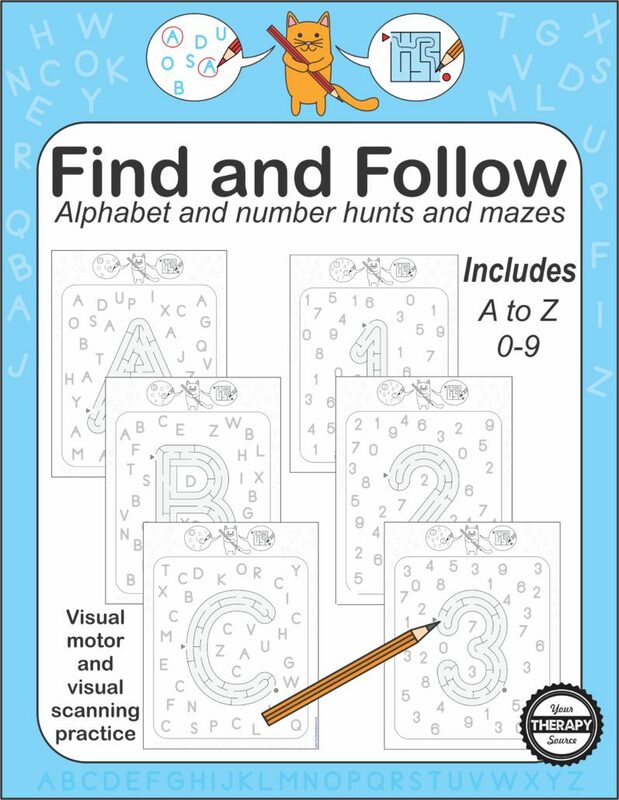 Here are more details about the complete Find and Follow: Alphabet and Number Hunts and Mazes digital download includes mazes and hunts for every letter of the alphabet and numbers 0-9. Challenge visual scanning, visual motor and visual spatial skills with this fun, black and white packet. On each page, you need to find and circle the upper case letter or number and follow the path through the maze. packet.